Geraldton, Australia. 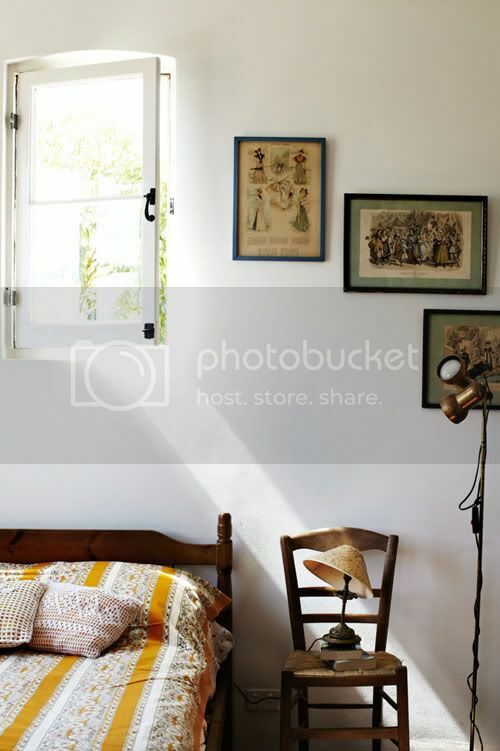 A cosy home furnished with vintage treasures and family heirlooms. It may seem like time stopped here... one hundred, two hundred years ago? I'm reading: French inspirationtweet, tweet... let everyone know! i love that green cabinet, very unexpected! 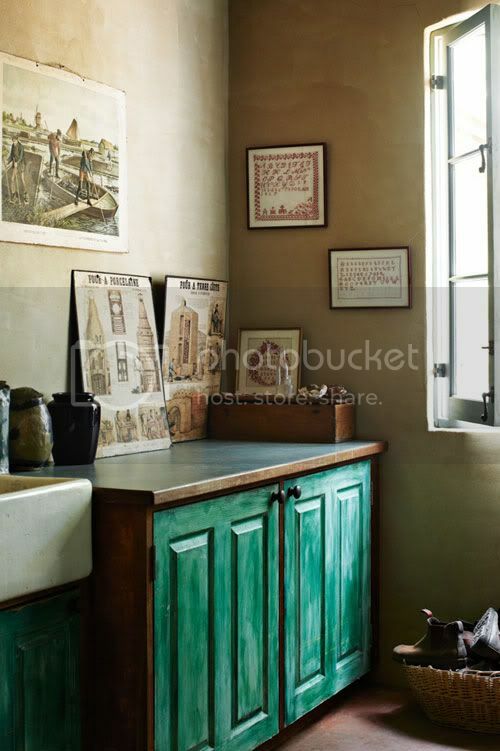 That green cabinet is really beautiful and the kitchen is special. 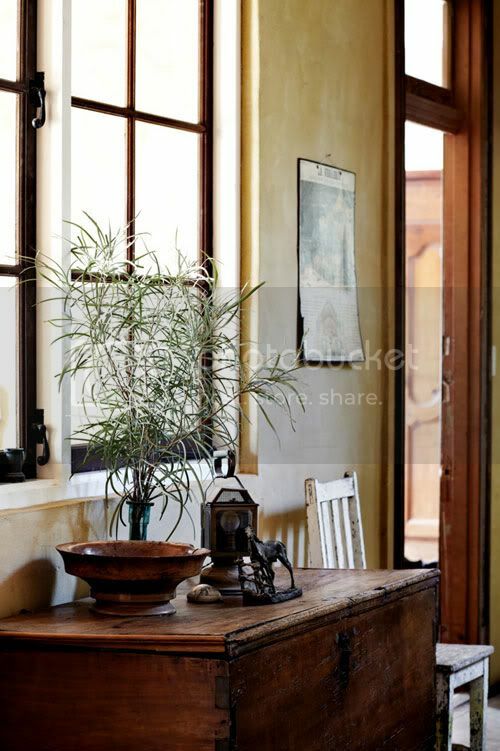 There is so much rustic charm here- love the distressed turquoise cabinets. 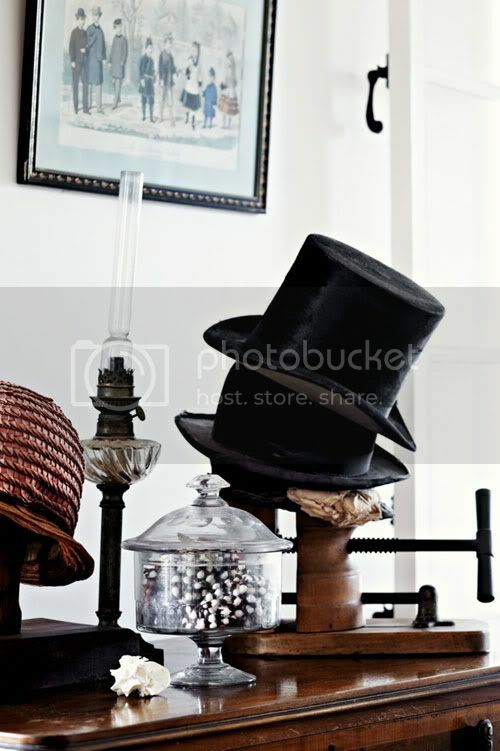 what a beautiful home it really does have some gorgeous vintage teasures doent it. i adore the kitchen. Love the beautiful textured walls in this kitchen and who wouldn't want a little top hat collection? OMG i have the same chair with the one in the first picture, it was my grandmothers! 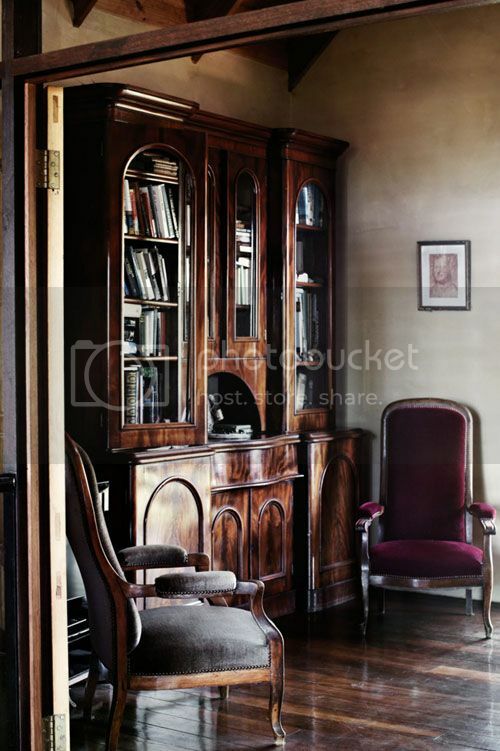 just amazing - i'm a big fan of french interior design, the dark old/ vintage furniture combined with very little decor. just stunning. Great pictures with great ideas. LOve your blog. I myself are very passionate about interior design also after i bought my house. It's kind of like a fixer upper so I am always looking for inspiration to resign my house:). Beautiful style, so French indeed. I would feel so rich living in this house surrounded by so many great furniture. SOOO cosy...and full of beautiful details. This is both warm and elegant. The combo of dark woods and rustic fabrics, makes me want to snuggle in there. Yet the furniture has lots of clean lines. This is beyond me, I wish I could decorate like this. I love case in emerald color ! Styl bardzo ciekawy - połączenie nieco wiejskiego stylu, z antykami. Imponujące. I love everything connected with France! You have here amazing photos. 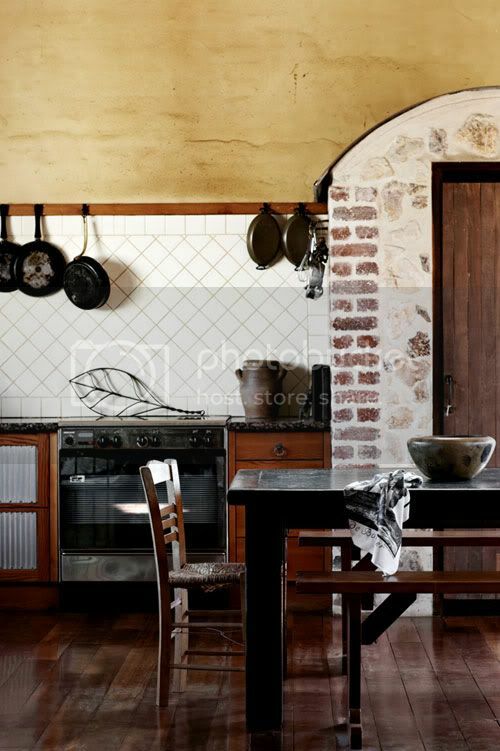 Gorgeous images - love the exposed brick in the kitchen. Gorgeous place.. Especially that kitchen. All of the interior designs are well organized and have a serene atmosphere. People in this house would be inspired to prepare kitchen stuff. Trwałe piękne lite drewno, styl klasyczny !